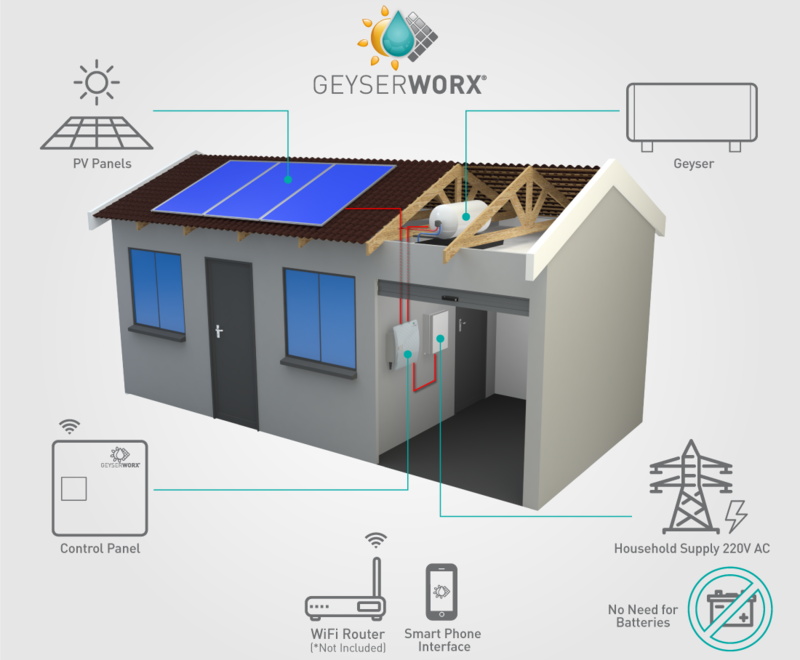 GeyserWorx the Smart way to convert to Solar Power! GeyserWorx® is a Patented (No. 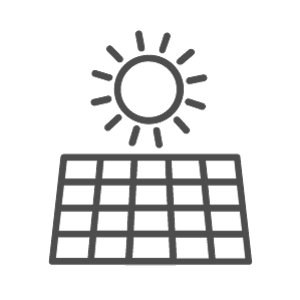 2013/06616) micro-processor based product that utilises solar energy during the day to heat household or commercial water. This is done using PV (photovoltaic) panels reducing the electrical running costs of your geyser system. 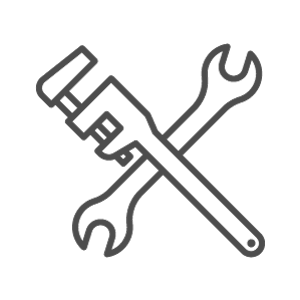 Geyserworx was established in South Africa in 2013 by Systems Automation & Management Pty Ltd (SAM), who have been in business for 30 years with experience in the automation and control systems. 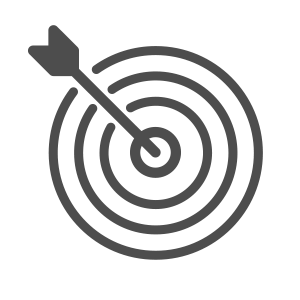 SAM is an ISO 9001 2008 approved company with proven capabilities and experience within the Automation & control industry. 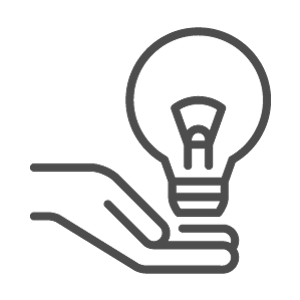 SAM has a highly qualified team to develop products and partnerships and provide services to meet our clients’ needs. SAM‘s design team offers a highly sophisticated design capability. We utilise Computer Aided Design (CAD) facilities and manufacture our end products in conjunction with our network of partners, who in turn utilise Computer Aided Manufacturing equipment. SAM offers a skilled and experienced team of Software, Hardware, Electronic, Electrical, Mechanical and Process Control Engineers to provide a comprehensive service based on our experiences gained from our vast client base. 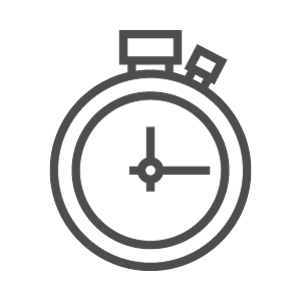 We offer a quick response service where quality is uncompromised while meeting the client’s stringent deadline requirements. Save up to 30% on your electricity bill. We'll get your Geyserworx® installed in no time. Geyserworx® is the Smart way to go Solar. Geyserworx® comes standard with 3 PV solar panels. 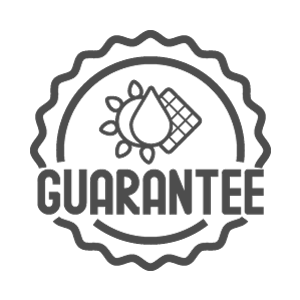 20 Year OEM guarantee on PV panels. 2 Year guarantee on Geyserworx® controller. Build a business with Geyserworx®. 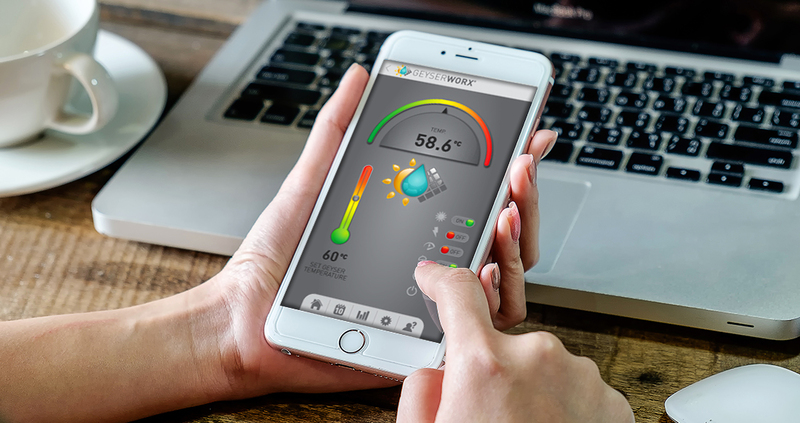 GeyserWorx® is a micro-processor based product that utilises solar energy during the day to heat household or commercial water. This is done using PV (photovoltaic) panels reducing the electrical running costs of your geyser system. PV panels complete with mounting brackets and connecting wiring. Available with or without acrylic facia. Standard system plus GeyserWorx® controller unit with Manual, Automatic, Timer and Holiday modes. Wi-Fi remote for smart phone interface to allow for full monitoring and control of geyser. GeyserWorx® App available for Android or Apple iOS. The capital outlay you require on a complete solar installation far outways the cost involved in installing a Geyserworx® system. For instance, the capital needed to install 4kW of solar power in your home is about 10x the cost of GeyserWorx. Bearing in mind that your normal geyser consumes 4kW by itself, your installed 4kW solar system would not be able to run your household requirements when the geyser is heating water. Renewable energy equipment require an initial investment to start. GeyserWorx®, Wind Turbines and complete solar solutions require big expenditure to get going. They make up for that expense by saving you money in the long term. By limiting your initial expenditure and maximizing your return on investment, the payback period can be reduced significantly. Also being able to expand your energy saving investment modularly, initial cost can be limited. This gives you the opportunity to use diverse alternative energy sources such as gas, wind, solar, etc. By diversifying energy sources, you are not dependent on a single technology. Thereby reducing your risk of obsolescence and price fluctuations. 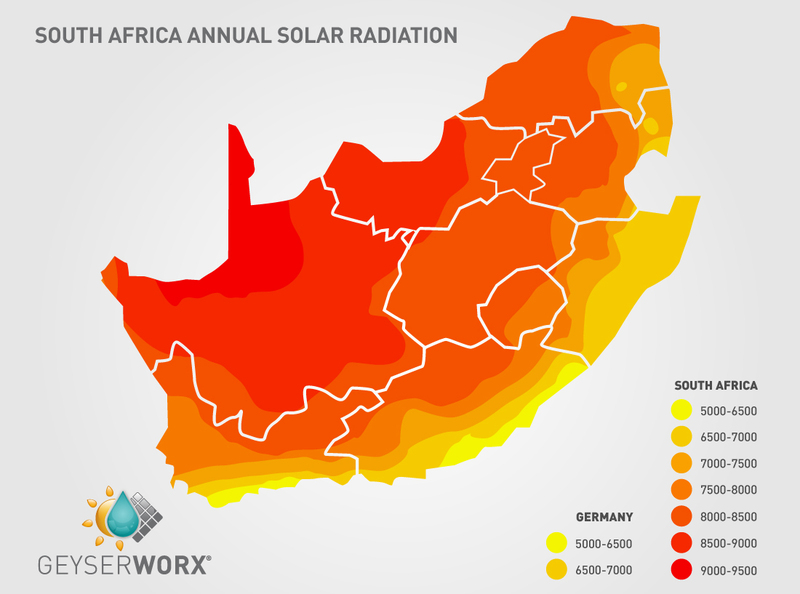 South Africa enjoys almost the perfect climate for solar water heating. South Africa average more than 2 500 hours of sunshine per year, and average solar-radiation levels range between 4.5 and 6.5kWh/m2 in one day, compared to half that for cities like London in the Northern hemisphere. Solar energy is the most abundant permanent energy resource on earth and it is available for use in its direct (solar radiation) and indirect (wind, biomass, hydro, ocean etc.) forms. This commentary is limited to the direct use of solar radiation, the earth’s prime energy resource. A carbon tax penalises companies and individuals that emit more carbon. Emissions can occur from various sources although the most common is fuel combustion in transportation and electricity generation. To put this into perspective, 1kg of carbon dioxide is emitted for every kilowatt hour of electricity generated in South Africa. The net result is that becoming energy efficient and lowering energy consumption becomes increasingly important. Using pricing signals a carbon tax is designed to create incentives for companies, businesses and individuals to change their behaviors, consumption patterns and products from being carbon intensive to low carbon alternatives. This transition to low carbon options reduces our reliance on polluting fossil fuels and ultimately reduces emissions. With Geyserworx® you can build a business, We want to partner with you! GeyserWorx® is a Patented (No. 2013/06616) microprocessor based product that utilises solar energy during the day to heat normal household or commercial geyser water. This is done without the use of a PV inverter or batteries and thus reduces the electrical running costs of the geyser system. Do I fit the ideal profile of a Geyserworx® Distributor? How do I become a GeyserWorx® Distributor? I Am interested in becoming a GeyserWorx® Distributor! Everything you need to install & sell Geyserworx®. 2 Day Geyserworx® training programme. 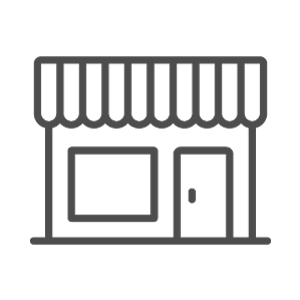 Targeting the right market for your business. Submit the form below and we will contact you! Get an Accredited Geyserworx® Installer for a Hassle Free Installation. System Automation and Management - Over 25 Years of Service Excellence in the Technology Industry. 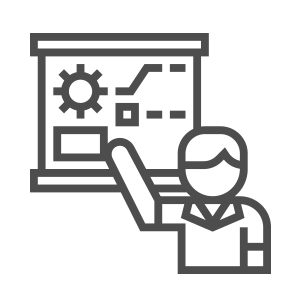 SYSTEMS AUTOMATION & MANAGEMENT (PTY) LTD.
We are leading suppliers of data acquisition systems and innovative automation solutions. SAM is one of the leading integrators in Automation systems in South Africa. 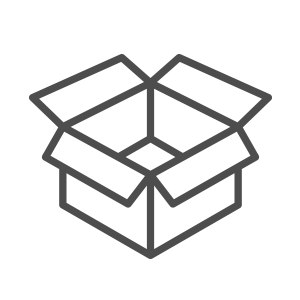 Geyserworx® is committed to becoming a major supplier to the Commercial and Residential markets with emphasis on service, quality and cost efficiency. Achieve outstanding results through the manufacture of quality products while maintaining economic viability. Maintain product excellence consistent with the requirements of efficiency, productivity and conservation through compliance with international quality standards; Continuously investigate and commission appropriate new technologies. Put emphasis on training and developing employees so that the undertaking shall be staffed by competent, involved and committed employees. Be a progressive and caring employer with respect to conditions of employment and the quality of both working and social life. Get Geyserworx® for your home or business. Contact Us Today!